Investment properties include tax deductions that can be used for minimising taxes on the property. But these tax deductions can be confusing and quite difficult to understand, mostly in regards to claims. One should know what one can deduct as expenses or as depreciation. Hence one should take help from professional accountancy firms to help you out. Here are some legal ways to claim tax deductions on the property. There are advertising costs involved especially when you need to get new tenants in place. One should be able to claim to advertise as the deduction if the property is for rental purposes. Body corporate fees should be claimable if you are the owner of one unit of a townhouse and you bear the maintenance expenses. Borrowing fees can be included as a cost to generate income and hence can be claimed as expenses. If your furnished property is now out of tenants, then the property needs to be cleaned out with your money. You can claim cleaning charges for the transition. If you own property, council rates are applicable, since it includes costs involved in maintaining the street and should be tax deductible if the property is used for income generation. Your building can depreciate right from its date of creation. By adding new things to the property, the updates also depreciates over time. All things with the value associated with them, and that depreciates over time can be claimed for deductions. If there are costs involved with maintaining gardens on your property, then the mowing costs should be claimable too. 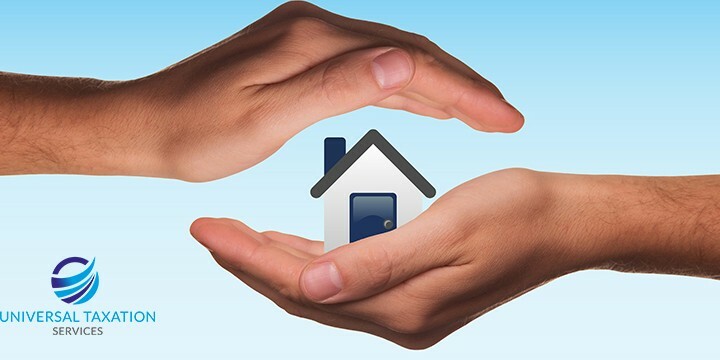 Hopefully with landlord’s insurance to cover costs when a property is destroyed or tenants affecting damage on it, one can claim the insurance amount since it helps you to cover costs that generate income. Obviously, the interest expense associated with the mortgage can be claimed but it is applicable if you are paying sizeable principal and interest both. Loans secured for private purposes can’t be claimed as tax deductions. Land tax is incurred on your property is an extra cost across your portfolio. So owning investment properties can be claimed as a tax deduction. But the claim should on the land tax and not for properties used for income generating purposes. The legal expenses associated with the purchase and sale of properties aren’t tax deductible, but if there are legal costs involved in maintaining a rental property or facing tenant issues, you can claim the same. You may often need to do something for pest control, and this is a cost that you will incur to keep rental income coming in, and thus can be claimed as tax depreciation. Real estate agents who charge you rental income as commission, should be claimed on your tax return. In most cases, you can claim repair costs and maintenance costs of the property although it needs to be cleared by the accountant. When making improvements to the property, one can claim costs on depreciation too. All the stationery or postage costs involved in mailing rental agreements and the like can be claimed in tax deductions. One can claim costs directly associated with improving investment property and not related to family holidays. Water, electricity and gas costs should be claimable as expenses and liable for a tax deduction. The age of the building affects deduction costs since it is deprecated since it is created. It is important to hire a well-known accountant for helping you out with tax deductions but there are many ways to save on taxes on property, so keep the ideas open. If you’re looking for advice regards property investment, do contact Universal Taxation since they are veterans in the field with a slew of tax advisors working under the canopy. Posted in tax tips and tagged deduction, expenses, Investment, property, return, saving, tax.